Mercedes-Benz Prague fashion week has produced some quality designer who overwhelmingly focused on streetwear. Of the 10 odd shows so far, about 8 had elements that are deeply rooted in the expression of avant-garde streetwear. 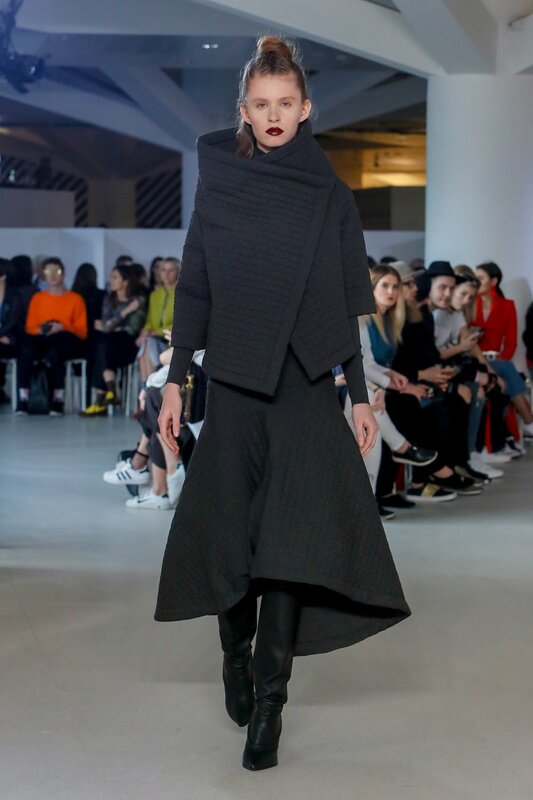 So when Imreczeova, the brainchild of Zdenka Imreczeova strutted down the runway with pastel blue, navy blue and solid oak black, it stood out. It stood out because of the lines; it stood out because of the fusion of light colors as a layer to dark colors; it stood out because there was something so very minimalist, so very neatly Japanese about the collection that despite rather arduous musical arrangement the clothes spoke and sang a hymn of simplicity. Imreczeova made the third day stood out. 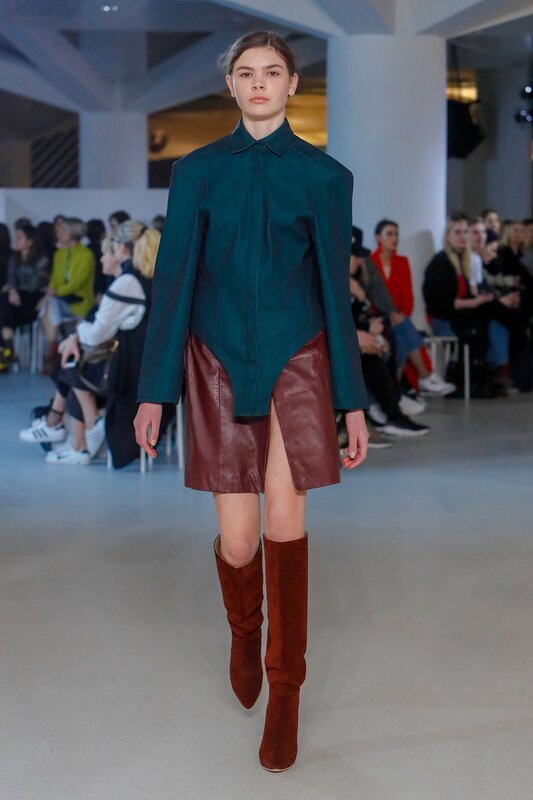 If Imreczeova was a love song for simplicity, then the Situationist founded by designer Irakli Rusadze brought his own take on 80s shoulder pads and long silhouettes. The contrasting style of the two standout designers was a good indication of where Prague as a market and as a fashion city is moving. It is not moving east, it is surely moving west. Situationists' influences were deeply rooted in American sense of aesthetics with a hint of his Georgian heritage. An honorable mention must go to Micheal Kovacik who used to be a stylist before fully committing to designing clothes. High-end silk and excellent craftsmanship were fully complemented by the movement of the dresses and paid homage to a sense of minimalism despite having elaborate stylings. While the collection itself did not come across as a fully comprehensive dissection of a specific idea, it did have a strong expression of creative will. In many ways, Kovacik's work is a testament to his ability to think outside a narrative but in a business where you need time to develop single ideas over a period of time, this see-sawing may be counter-productive in the long run. That being said, it was a joy to watch variety of ideas, from minimalist black to elaborate multicolored dresses, strutting down the runaway.